Jaipur celebrates Diwali in its own style with much enthusiasm and great folklore. 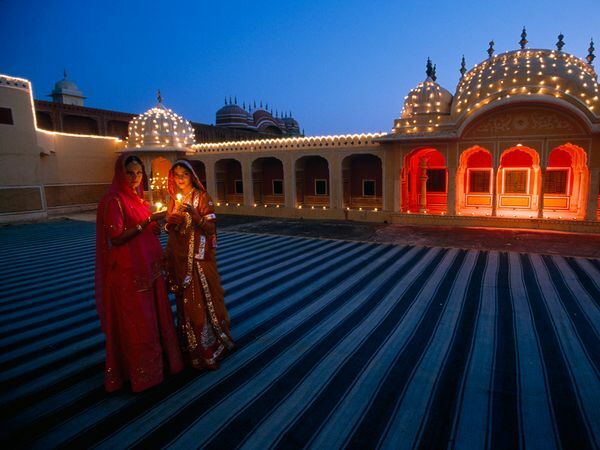 Jaipur, the capital of Rajasthan, is culturally rich city and Diwali puts more color to it. 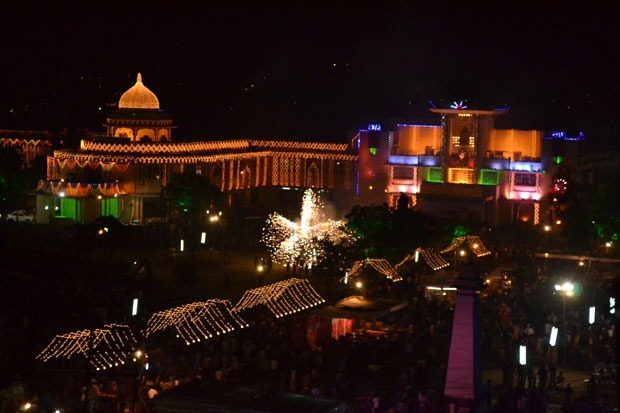 The enthusiasm with which Jaipur celebrates Diwali – the festival of lights – has to be seen to be believed. Mainly because Jaipur is primarily a trader’s city, and on Diwali, the goddess of honor is none other than that of wealth – Laxmi, makes Jaipur a city to must visit during this period. Some tourists just happen to be lucky visiting Jaipur around Diwali, while others come on purpose, enticed by Flickr albums and Lonely Planets. 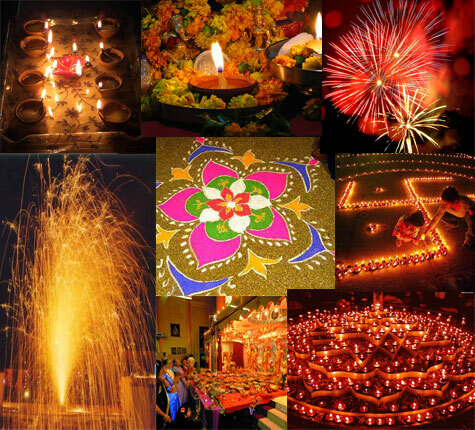 Whatever is their reason for visit, each year more and more foreigners celebrate Diwali in Jaipur. Jaipur’s Diwali is globally popular and people from far off lands come to enjoy this glorious extravaganza of lights and happiness. During Diwali, a kaleidoscope of vibrant colors floods the decorated streets. Evil spirits tormenting mankind are banished away in ingenious ways, such as fireworks. All the streets, shops and buildings are bathed in the magnificence of colorful lights and decorations. Crackers, dazzling lights, decorated shops and houses, streets and roads and people of Jaipur in traditional Indian dresses can be seen everywhere on Diwali. The whole Pink City dazzles and looks like a bride with makeup of lights, frills and colors during the festivities of Diwali. The heart leaps with joy and festivities reach a crescendo whenever it’s Diwali time. After all, this is the most gala festival celebrated almost throughout the country. 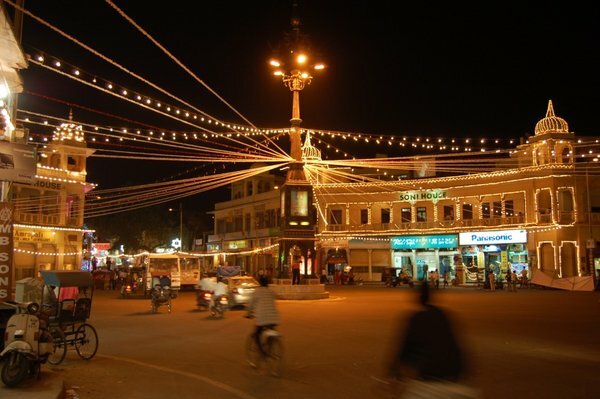 So if you want to experience the extravaganzas of lights and happiness, then you must visit the Pink City during Diwali! !